Learning more about our food system, you may ask, “How can I help?” One way is to visit farms and connect with local farmers. 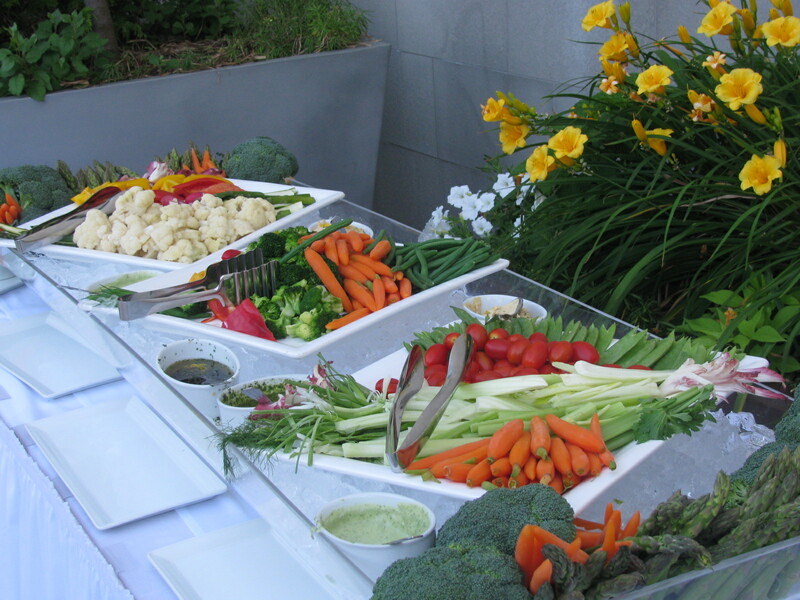 You also may consider participating in a farm’s Community Supported Agriculture (CSA). A CSA is a food distribution system that connects community members directly with their local farmers through buying shares or regularly supplied produce boxes. This system benefits both the producers by increasing their customer base as well as consumers by having regular access to fresh, healthy food. Here is a great resource that provides a list of CSA’s in Maryland that can be sorted by county to find the one closest to you. In order for alternative systems such as local food stores to gain support, it is important to identify the benefits. 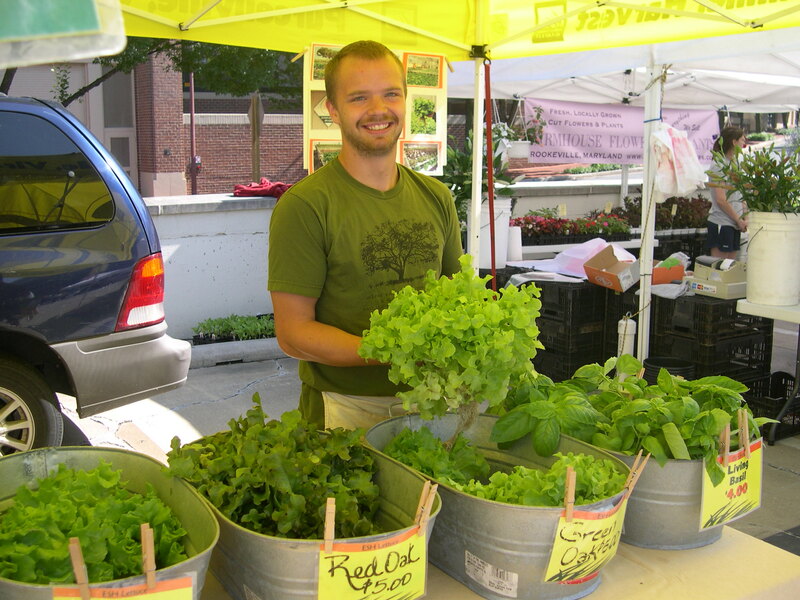 Supporters believe local markets provide fresh, higher quality foods. Processed foods that you find at supermarkets tend to be richer in saturated and trans-fatty acids, salt and sugars, which can lead to diet-related diseases. By replacing some of these purchases with local, fresh produce, you can make a difference in your family’s health. Changing the food you purchase is the first step towards changing your consumption habits. 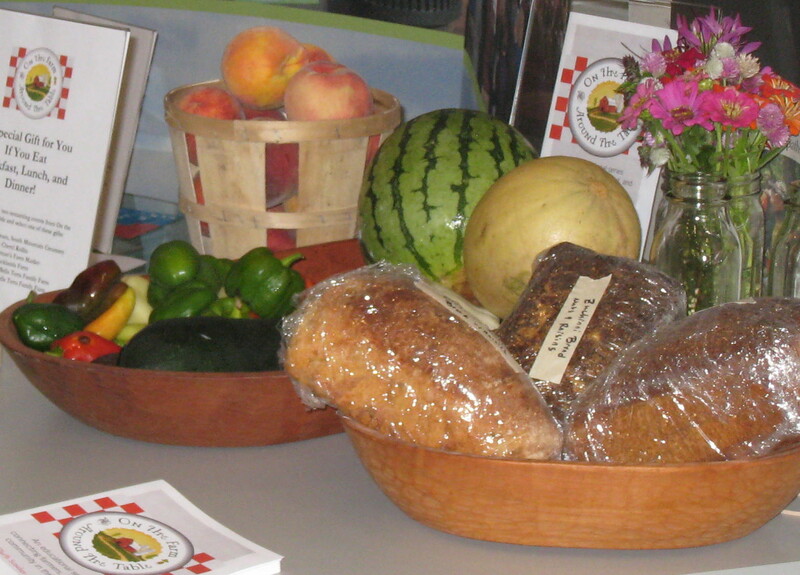 By advocating for local food, supporters are promoting eating seasonal, unprocessed foods that benefit environmental and human health. Local food systems also help small, local farms that compete with large, corporate agriculture. As a result, rural communities benefit as it builds more resilient rural economies. Additionally, small farmers are more likely to be diversified and less controlled by large institutions; therefore they have more room to adopt alternative, sustainable methods that are more beneficial to the environment. 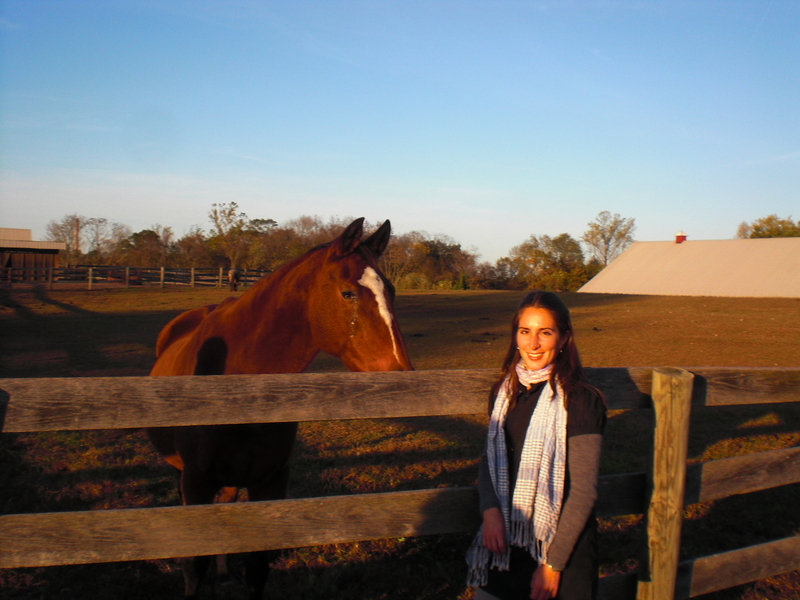 You can see examples of this for yourself at the 3rd annual Bethesda Green Farm Tour. Find out where your food comes from, how agricultural production impacts our environment and what you can do to help. Reserve your spot on the Farm Tour here. 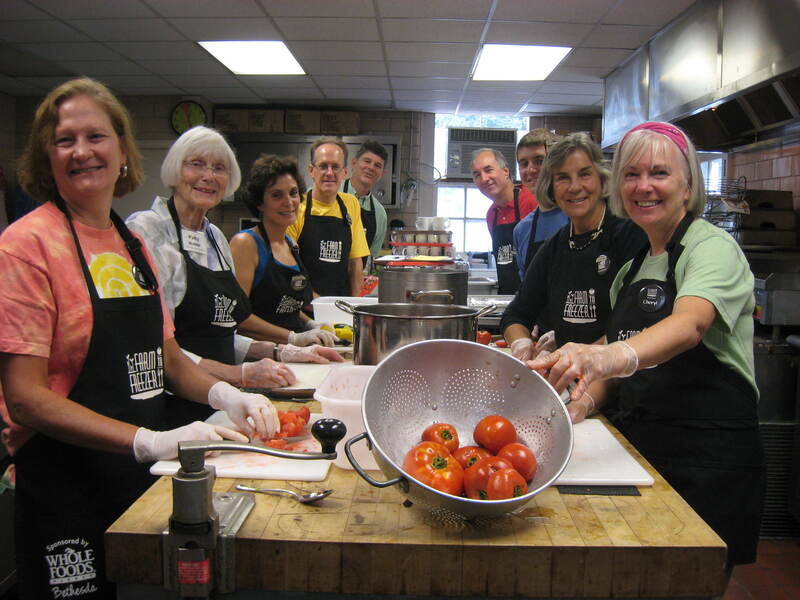 Last Sunday 10 volunteers came together to beat the heat by washing, chopping, and blanching fresh vegetables at St. John’s Church in Bethesda. In just four hours volunteers with Farm to Freezer prepared 50 lbs. of tomato sauce, diced zucchini, and roasted eggplant for the freezer. This food will be incorporated into healthy meals throughout the year for Bethesda Cares’ meals program that feeds the hungry in our community. You don’t have to be an experienced cook to join us. The program seems to resonate with people for many reasons. Some people volunteer because they like to work in the kitchen chopping vegetables while getting to meet others. Some parents like this project to work along with their teens, while they earn student service learning credits. We welcome teens ages 13-15 with an adult, older teens and adults. Others like the idea of supporting Bethesda Cares’ social mission. Founded in 1988, Bethesda Cares was originally established as a lunch program to combat hunger in Montgomery County, providing meals to those living on the streets. Homeless men, women and children suffer from hunger, malnutrition and food insecurity every day. 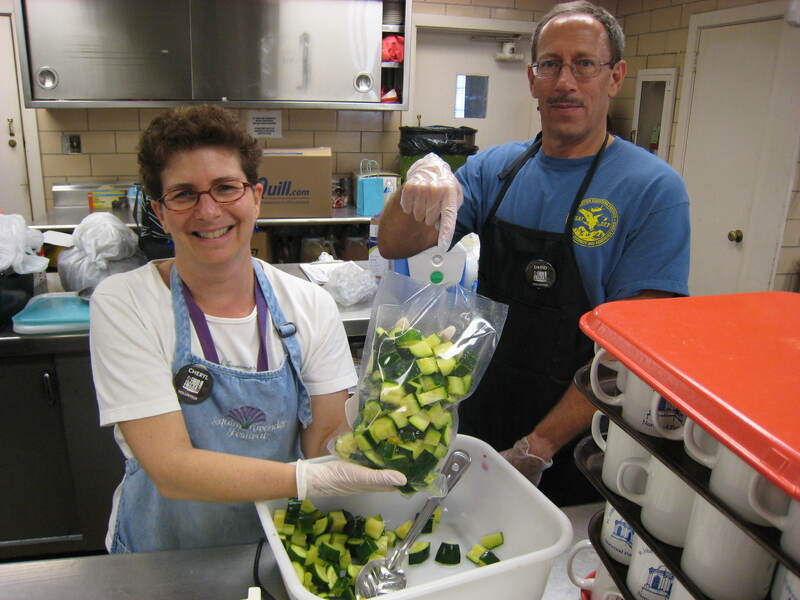 To help ensure the homeless in Montgomery County receive a warm and nutritious meal, Bethesda Cares serves lunch six days a week and dinner on Sundays to between 40-75 people that adds up 20,000 meals each year. Today, Bethesda Cares operates as a day drop-in shelter, serving hot meals daily, offering clothing and toiletries, outreach worker case management, referrals for supportive permanent housing, psychiatric counseling, prescription assistance, and eviction and utility assistance to county residents. Still other people like to support family farmers and our local food system. Every year about 40 percent of good but uneaten food goes into the landfill—wasted along every part of the supply chain from farm to table. The idea for Farm to Freezer was born last January during a conversation I had with Sue Kirk, the executive director of Bethesda Cares. “We are the official gleening organization of the Saturday Bethesda Fresh Farm Market, but we get many more vegetables than we can use in our meals before it goes bad,” explained Sue. 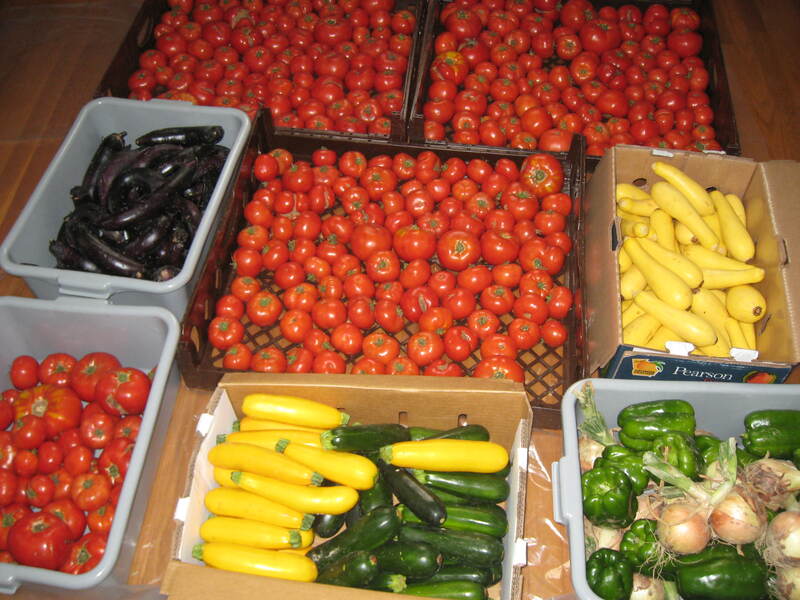 A weekly donation just from one farm—Spiral Path organic farm has averaged almost 400 lbs. every week this summer, and we are not even at peak season yet! The organic produce that Spiral Path produces is just beautiful and it is a real crime to let it go to waste. Farmers get a tax deduction for their donation. The spark of a Farm to Freezer project was born and six months later we are up and running thanks to generous support from community foundations, donated kitchens from partner churches, and in-kind donations from businesses including Whole Foods Bethesda, Zipcar, and Honest Tea. Even Compost Crew helps by donating their services to compost our food scraps. Volunteers are key to the success of this whole project—we seek 10 volunteers for our weekly prep days. People can sign up via Bethesda Cares’ Meet Up site individually or as a group activity with friends, family or colleagues. With continued community support this project has the potential to grow into a self-sustaining enterprise, earning operating funds by selling tomato sauce and other preserved food at local farmers markets and even teaching food preparation classes. Fresh local food comes full circle—from farm, to freezer, to market, back to compost—benefiting our whole community along the way.